After 500 years Henry VIII still retains a public fascination unmatched by any monarch before or since. Whilst his popular image is firmly associated with his appetites - sexual and gastronomic - scholars have long recognized that his reign also ushered in profound changes to English society and culture, the legacy of which endure to this day. To help take stock of such a multifaceted and contested history, this volume presents a collection of 17 essays that showcase the very latest thinking and research on Henry and his court. Divided into seven parts, the book highlights how the political, religious and cultural aspects of Henry's reign came together to create a one of the most significant and transformative periods of English history. The volume is genuinely interdisciplinary, drawing on literature, art history, architecture and drama to enrich our knowledge. The first part is a powerful and personal account by Professor George W. Bernard of his experience of writing about Henry and his reign. The next parts - Material Culture and Images - reflect a historical concern with non-documentary evidence, exploring how objects, collections, paintings and buildings can provide unrivalled insight into the world of the Tudor court. The parts on Court Culture and Performance explore the literary and theatrical world and the performative aspects of court life, looking at how the Tudor court attempted to present itself to the world, as well as how it was represented by others. The part on Reactions focuses upon the political and religious currents stirred up by Henry's policies, and how they in turn came to influence his actions. 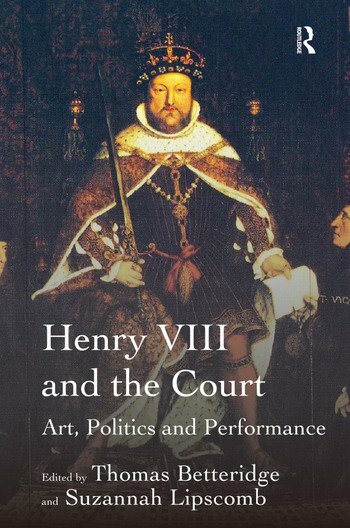 Through this wide-ranging, yet thematically coherent approach, a fascinating window is opened into the world of Henry VIII and his court. In particular, building on research undertaken over the last ten years, a number of contributors focus on topics that have been neglected by traditional historical writing, for example gender, graffiti and clothing. With contributions from many of the leading scholars of Tudor England, the collection offers not only a snapshot of the latest historical thinking, but also provides a starting point for future research into the world of this colourful, but often misrepresented monarch. Contents: Introduction, Suzannah Lipscomb and Thomas Betteridge; Part I Writing About Henry VIII: Reflecting on the King’s Reformation, G.W. Bernard. Part II Material Culture: Rich pickings: Henry VIII’s use of confiscation and its significance for the development of the royal collection, Maria Hayward; ’As presence did present them’: personal gift-giving at the Field of Cloth of Gold, Glenn Richardson; Cultures of the body, medical regimen, and physic at the Tudor court, Elizabeth T. Hurren. Part III Images: Architectural culture and royal image at the Henrician court, Kent Rawlinson; Wishful thinking: reading the portraits of Henry VIII’s queens, Brett Dolman; Henry VIII and Holbein: patterns and conventions in early modern writing about artists, Tatiana C. String. Part IV Court Culture: Inscribed in memory: the prison poems of Sir Thomas Wyatt, Ruth Ahnert; Receiving the king: Henry VIII at Cambridge, Susan Wabuda; Performing Henry at the court of Rome, Catherine Fletcher. Part V Reactions: Hampton Court, Henry VIII and Cardinal Pole, Eamon Duffy; Henry VIII and the crusade against England, Susan Brigden; One survived: the account of Katherine Parr in Foxe’s 'Book of Martyrs', Thomas S. Freeman. Part VI Performance: Gender and status in John Heywood’s The Play of the Weather, Eleanor Rycroft; Dramatic genre and the court of Henry VIII, Peter Happé; The fall of Anne Boleyn: a crisis in gender relations?, Suzannah Lipscomb. Part VII Afterword: Henry VIII: the view from 2009, Steven Gunn; Index. Thomas Betteridge is Professor of English and Drama at Oxford Brookes University. He has published numerous books, chapters and articles on the English Reformation and the Tudor court. He has recently edited, with Thomas S. Freeman, a collection entitled Henry VIII and History (Ashgate, 2012). Suzannah Lipscomb is Senior Lecturer and Convenor for History at New College of the Humanities, London. She is the author of 1536: The Year that Changed Henry VIII (2009) and A Visitor’s Companion to Tudor England (2012). She also continues to hold a post as Lecturer in Early Modern History at the University of East Anglia and, having been a Research Curator at Hampton Court Palace, is now a consultant to Historic Royal Palaces.